Between the long lines, sold-out flights and sky-high prices of airfare, holiday travel can be a stressful experience. While there isn’t much to be done about the crowds and little you can do about getting bumped from your flight (something this survey found Americans really, really despise), you can at least make some smart money moves when it comes to scoring a better price on holiday travel. Here are some top tips for saving money on Thanksgiving travels. If you know ahead of time where you’ll be traveling, do yourself a favor and create an airfare alert for that destination on various search sites. Travelers save an average of 6% when creating airfare alerts to help them book tickets, said Kelly Soderlund, communications director at Hipmunk, a travel search company. You can sign up for travel alerts at Hipmunk, or at a number of other travel sites, including Skyscanner, Hopper and Airfarewatchdog.com. If you are flying to a large metropolitan area that’s serviced by more than one airport, be sure to check all of the airport options for your inbound and outbound flights. Smaller airports may reduce your ticket cost as much as 14%, and may also be less congested, said Molly Cowen, travel expert at TravelPirates. “Since many budget airlines fly out of smaller airports, a different airport in your region might have a cheaper route that you never even knew existed,” she said. 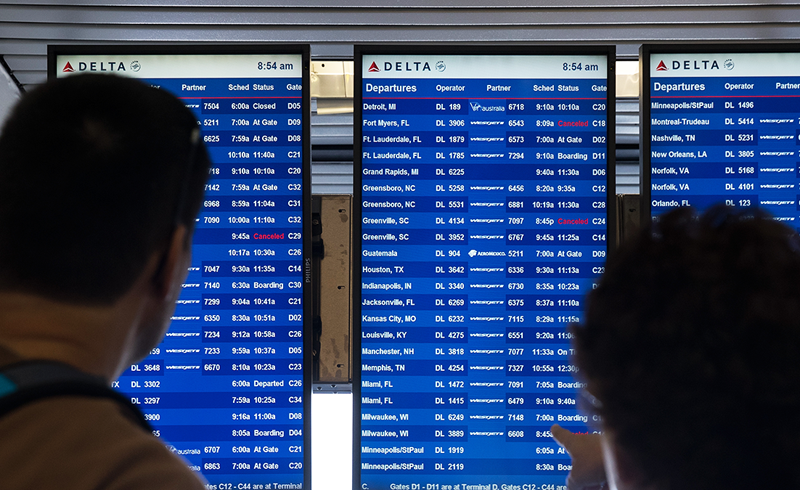 Check out this list of the least reliable airports in the U.S. to see if you can avoid delays by searching for other nearby airports. The worst time to book your tickets is the week of November 12 and the week of November 19. Tickets during these weeks will likely be most expensive, said Gracia Larrain, communications director of Skyscanner. Larrain said the day of the week you book also matters. It’s cheaper to book tickets to Atlanta on a Monday or a Friday. If you're going to Chicago, you’ll want to book your ticket Saturday, Sunday or Wednesday. If you’re flying to Las Vegas, Los Angeles, Miami, New York, San Francisco or Washington D.C., book your ticket on a Friday to get the best deal. If you’re headed to Orlando, book your ticket on a Monday. If you are flexible with the days you can travel, booking flights the week before can save you. Those who want to visit New York City for the holiday can save 42% by flying there between November 13 and November 17, as opposed to November 20 through November 24, said Larrain. You can find similar savings for other destinations the week before Thanksgiving: Chicago (44%), Los Angeles (32%), Las Vegas (35%) and Orlando (54%). Larrain said the biggest price difference is flights to Miami, where ticket prices are 73% cheaper the week before Thanksgiving. The most expensive days to travel, and usually the most popular, are the Wednesday before Thanksgiving and the Sunday after Thanksgiving, said Patrick Surry, chief data scientist at travel company Hopper. “If you can avoid traveling on those days, you'll be able to save,” he said. While there are certainly drawbacks to basic economy flights — among them being unable to select your seat when booking and paying extra for nearly everything — there are also upsides to these fares. For one, they’re often substantially cheaper. You can save an average of 13% by booking basic economy, said Soderlund. There are lots of nuances between the major airlines. You can find out about them in this airline-by-airline guide. A long-distance trip may require flying, but if you’re traveling a shorter distance, maybe rethink your options. “Driving or choosing a bus or train could potentially save you hundreds,” said Cowen. If you are driving, consider looking around for a carpool buddy traveling to the same location. Cowen said carpooling saves on gas money and is better for the environment then going at it alone. If you aren't staying with family during the holiday, hotel rooms can be a pricey alternative. Booking a vacation rental instead can save you an average of 10%, said Soderlund. Companies like Airbnb, HomeAway and VRBO provide cheaper prices, and sometimes include added amenities like fully-stocked kitchens or laundry machines, said Cowen. “Save money with these amenities by cooking your own meals and doing laundry to limit the amount of clothes you need to pack,” she said. It's easy for travel expenses to quickly add up. 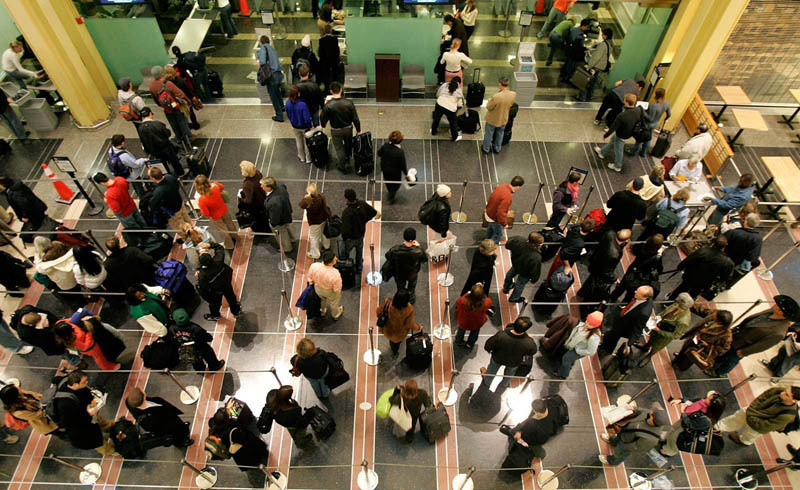 Before you book your flight, check out these six things airlines don't want you to know.